This article was originally published on RTL Group Backstage. Japanese broadcasters are adjusting to the change in consumer TV viewing behavior, with the introduction of OTT and subscription video-on-demand (SVOD) platforms — such as Netflix, Hulu, and Amazon Prime Video — to the market. To discuss these emerging trends in Japanese TV, SpotX and Dentsu’s CCI hosted their very first DrinksXchange event focused on “data-driven TV” in Japan on 12 November, with more than 80 broadcaster delegates at the Yurakucho Tokyo International Forum. 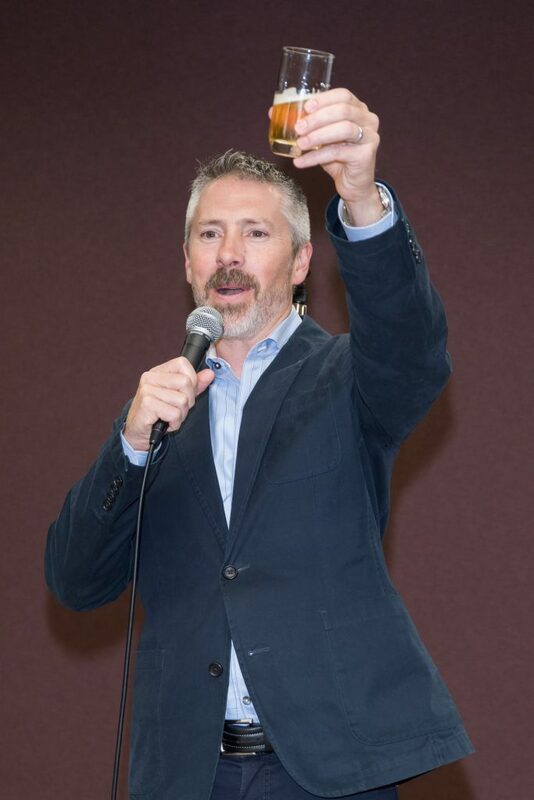 This was the first in a series of events that SpotX will host in Japan to gather clients, partners, and industry leaders to discuss industry advancements, trends, challenges, and opportunities — along with further discussion over networking drinks. 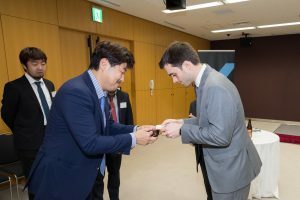 Akio Niizawa, CEO at CCI Japan, and Mike Shehan, co-founder and CEO at SpotX, kicked things off — elaborating on RTL Group’s investment in the market to support its total video strategy, how SpotX enables the monetisation component of this strategy, and what the SpotX and CCI partnership brings to the Japanese market. Akio Niizawa, CEO at CCI Japan, and Mike Shehan, co-founder and CEO at SpotX, kicked things off — elaborating on RTL Group’s investment in the market to support its total video strategy, how SpotX enables the monetization component of this total video strategy, and what the SpotX and CCI partnership brings to the Japanese market. 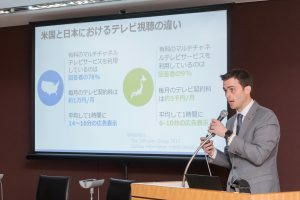 SpotX CRO Sean Buckley then highlighted key trends and insights within the over-the-top (OTT) video landscape as well as the advancements in the US, European, and Japanese markets. Buckley also explained the SpotX technology available to CCI partners that makes it easy for buyers to transact, enables first-party data activation without the fear of data leakage, and drives return on investment for broadcasters. SpotX Japan Operations team members, Soon Chang (solutions engineer), Phil Howell (director of operations, Japan), and Ryu Tsuruta (broadcaster operations, CCI), shared best practices for price tiering and channel setup — including how to ensure the greatest return for broadcasters on every impression within the programmatic environment. Click here to learn more about SpotX helps media owners and advertisers around the globe monetize OTT inventory.